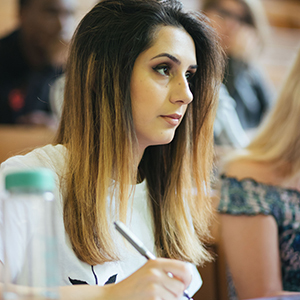 The Economics and Management degree examines issues central to the world we live in: namely how the economy and organisations function, and how resources are allocated and coordinated to achieve the organisation’s objectives. Economics and Management are ideal intellectual partners, each particularly fitted to strengthen and cross-fertilise the other. Economics is the study of how consumers, firms and governments make decisions that together determine how resources are allocated. An appreciation of economics and the general workings of the economy have become increasingly necessary to understand government policy-making, the conduct of businesses, and the enormous changes in economic systems which are occurring throughout the world. It is also becoming increasingly important in both government and the private sector to have an understanding of some of the methods used within economics, such as quantitative methods, statistical and causal inference, and experimental methods. Management is concerned with the effective use and coordination of materials and labour within an organisation in the pursuit of its defined objectives. Management considers the interrelationship and interactions between distinct parts of an organisation, and between the organisation and its environment. Students will look at theories, models and frameworks in order to understand how managers behave and to consider their role in the process of decision-making. The teaching of this course is provided by both the Department of Economics and the Saïd Business School. However, it is not a Business Studies degree. The programme is taught as an academic subject within the Social Sciences Division of the University. Tutorials are usually 2-4 students and a tutor. Class sizes may vary depending on the options you choose. There would usually be no more than around 20 students though classes for some of the more popular papers may be up to 40 students. Most tutorials, classes, and lectures are delivered by staff who are tutors in their subject. Many are world-leading experts with years of experience in teaching and research. Some teaching may also be delivered by postgraduate students who are usually studying at doctorate level. 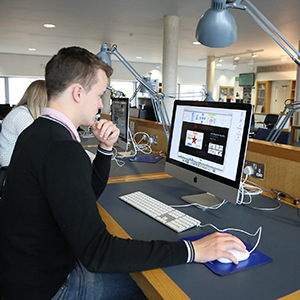 To find out more about how our teaching year is structured, visit our Academic Year page. Students must take at least two courses in Economics (of which one is Microeconomics, Macroeconomics, Quantitative Economics or Development of the World Economy since 1800) and at least two Management courses. The options listed above are illustrative and may change. More information about current options is available on the Department of Economics website and Saïd Business School website. Final University examinations: the majority of courses are assessed by written examinations, whilst some are assessed in whole or in part by student coursework, e.g. Behavioural and Experimental Economics. It is possible to write a thesis in either Economics or Management in place of one course. Candidates are required to have Mathematics to A-level (A* or A grade), Advanced Higher (A grade), Higher Level in the IB (score 6 or 7) or another equivalent. All candidates must take the Thinking Skills Assessment (TSA) as part of their application. Separate registration for each test is required and it is the responsibility of the candidate to ensure that they are registered for these tests. We strongly recommend making the arrangements in plenty of time before the deadline. For everything you need to know, including guidance on how to prepare, see the TSA page. We are looking for candidates with an interest in and a motivation for studying the organisation of businesses and the economy; a capacity to construct and critically assess arguments; and a willingness and an ability to express their ideas clearly and effectively both on paper and orally. Successful candidates will also show independence and flexibility of thought and an ability to analyse and solve problems logically and critically. The interview is not primarily a test of existing knowledge and, in particular, is not a test of any economics or management studied previously. For more detail on the selection criteria for this course, please see the Economics website. 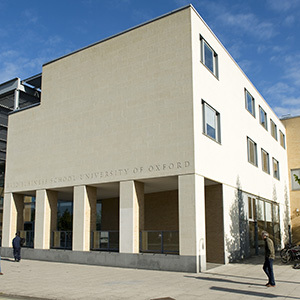 Oxford graduates in Economics and Management are among the most sought after by employers. Their current employers include leading international organisations in traditional activities, as well as new start-up companies in a variety of high-tech fields. Recent graduates have secured positions in banking and finance, consultancy, research, journalism, industry, the Civil Service and teaching as well as a wide range of other sectors. Oxford's undergraduate degree in Economics and Management is ranked number one in the 2018 Guardian league table for degrees in business, management and marketing. 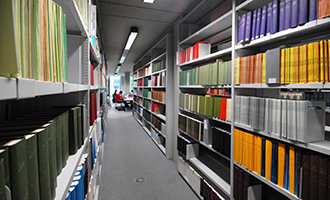 Why not have a look at the Economics and Management reading list for prospective students? The best introduction to Economics is to read the economics and business pages of newspapers. Tim Harford’s Undercover Economist and Paul Krugman’s The Accidental Theorist are also recommended.